Katmerciler and British Mira Company, together with other stakeholders Savronik and Delta Ltd., signed an International Strategic Alliance Agreement in the field of unmanned land vehicles in the presence of the Undersecretary for Defence Industries (SSM) Prof. İsmail Demir. Signatures were given in London during the Turkish-British Tatlıdil Forum, which was established in 2011 to contribute toward furthering the relations between Turkey and the UK in political, economic, cultural and human areas by also addressing civil dialogue and at which President Recep Tayyip Erdoğan was also in attendance. According to this International Strategic Alliance Agreement, the advanced technology unmanned land vehicles platform, which is needed by both countries, will be developed by joint efforts and will be marketed jointly all over the world in addition to the United Kingdom and Turkey. The production base is expected to be selected in Turkey. UK based Mira is a leading company performing activities in the fields of vehicle test systems and smart unmanned land vehicles. Katmerciler, through this agreement, aims to transfer its leading role in the unmanned land systems in Turkey to the international level. Making statements to the Anatolian News Agency following the award of the agreement, Katmerciler Chairman and CEO Mehmet Katmerci stated that Turkey is in an essential breakthrough also in the defence industry like in all industries, and emphasized that they are making major investments in unmanned land vehicles systems under the guidance and leadership of the Undersecretariat for Defence Industries. Mehmet Katmerci: “The systems we have developed with our stakeholders such as Aselsan are already the most complex and integrated solutions in this area in the global sense. With this agreement, we will work hard to develop more intelligent systems with valuable stakeholders such as Mira and Savronik in order to expand our talent pool even further. 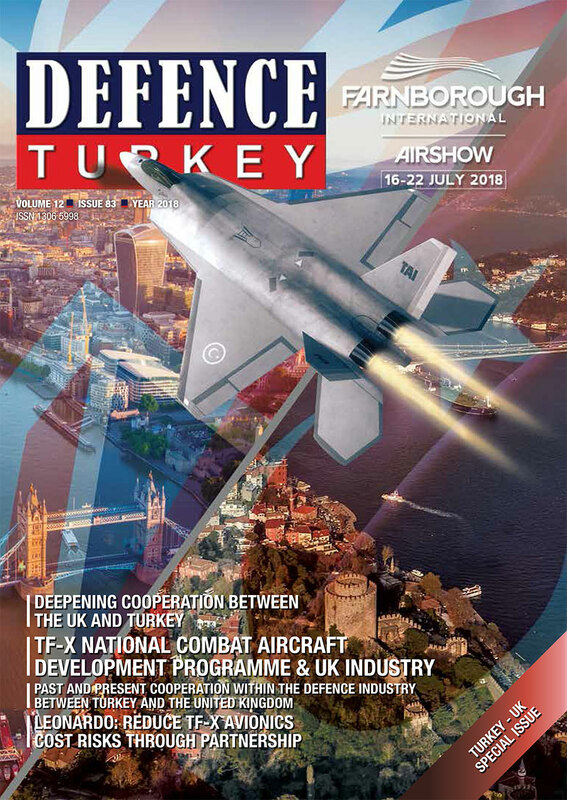 We hereby present our gratitude to the Undersecretary for Defence Industries Prof. İsmail Demir, who has provided full support during the award of this agreement, and to Co-President of the Forum Reha Denemeç, who is an architect in a sense of this agreement and has made great efforts toward the realization of this agreement”. 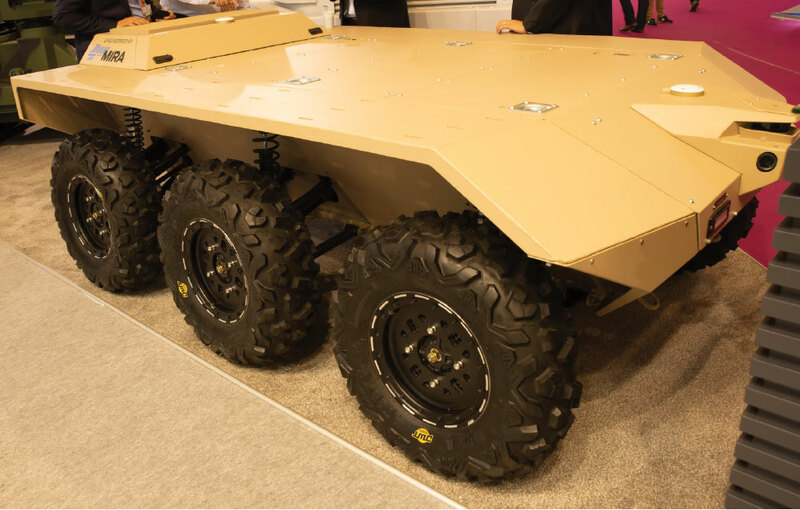 Katmerciler has come to the forefront as one of the companies investing in Turkey in the field of unmanned land platforms and is enhancing its capabilities in this field with each passing day. Katmerciler unveiled the UKAP platform integrated with the SARP - Remote Controlled Stabilized Weapon Platform at IDEF 2017 last year and displayed this product for the first time abroad at DSEI 2017 in the UK. The moving firing test footage of the UKAP platform, the development phase of which was finalized recently and has become ready for mass production, were shared via Katmetciler’s twitter account at the beginning of June. Katmerciler also exhibited both the UKAP platform integrated on the SARP Weapon System and Mira’s Centaur 6x6 mid-sized multirole unmanned ground vehicle at its stand during the Eurosatory 2018 Fair held on June 11-15, 2018. UKAP, all functions of which can be remotely controlled, was designed as a multifunctional vehicle with firing, surveillance as well as recovery operations capabilities. UKAP is a tracked platform defined as a “genuine requirement for engagement areas” capable of reaching a speed of 25 km per hour and continuously operating for a duration of five hours. Delegations from Land Forces scrutinized and obtained information about the Weapon Platform. In the beginning of the design process, the vehicle was initially planned to be manufactured as a firing platform and now Aselsan’s Remote Controlled Stabilized Weapon System is mounted over it. Designed in a modular structure, UKAP can concurrently be used for reconnaissance and surveillance through thermal or sensor mobile cameras and for dispatching ammunition of military units. UKAP can also be utilized for the recovery of injured troops and security forces that are caught in the crossfire and the vehicle is expected to become an important solution minimizing casualties in-theater. Development studies geared toward enabling the UKAP platform to function as a task force in urbanized terrain and operational regions and those related to the platforms’ integrated operations continue. Within the scope of the development project, a different configuration of the platform is aimed to be used as a mine clearance vehicle. According to the future projection of the Turkish Armed Forces, several semi-autonomous and full-autonomous unmanned land platforms are expected to be included in the inventory of the Turkish Armed Forces.